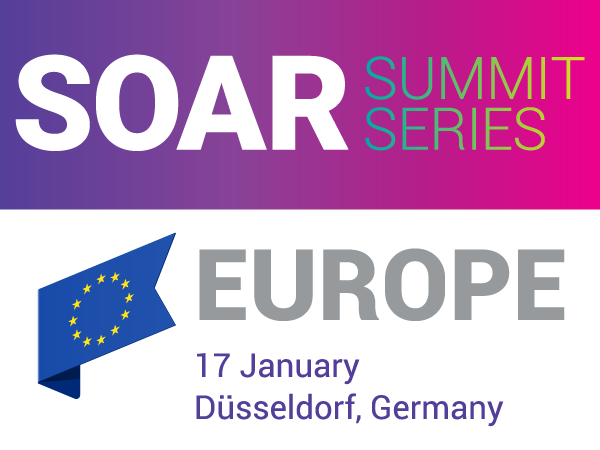 Join us for SOAR Summit Europe 2018 in Dusseldorf, Germany. The event is a condensed regional customer conference designed for the European BluJay community, and the best opportunity to connect with fellow BluJay customers, partners, industry experts, and the BluJay team closer to home. Enjoy a day-and-a-half of learning how to optimise your supply chain while networking and relationship building with industry leaders, peers, and BluJay product experts. Stay through the evening for fine dining and a magical night of entertainment with Digital Illusionist, Paul Fowler. Customers can also help influence development by participating in the Customer Advisory Board sessions. This event offers the greatest value to help innovate your business and prepare you for future trends and best practices. Join us 16-17 January in Dusseldrof, Germany, at the Tulip Inn Dusseldorf Arena to experience this first-ever event designed for the BluJay European community. Visit our Events Page to view the full agenda and register, or to find a SOAR event near you. We look forward to seeing many of you there!